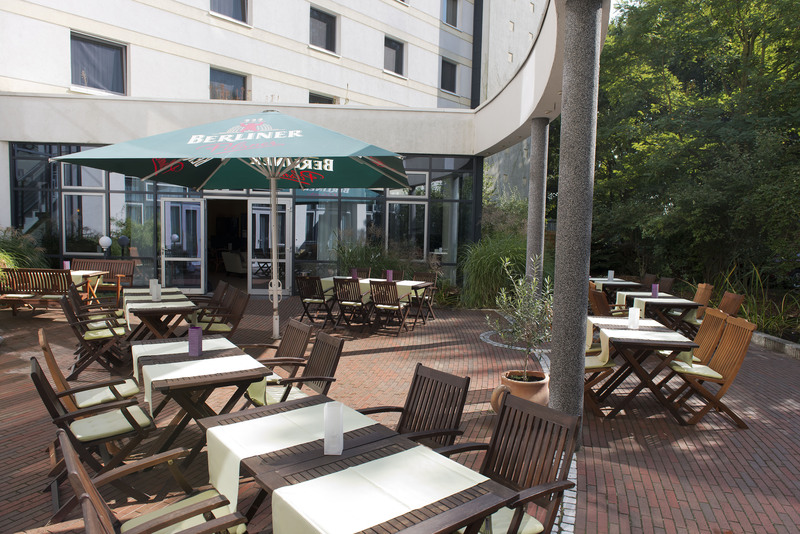 Our Wyndham Garden Hennigsdorf Berlin Hotel close to Berlin provides both the peaceful atmosphere of the northern city-periphery, and proximity to everything that the vibrant capital of Germany has to offer, thanks to its select location on Berlin's green, idyllic outskirts. The Henningsdorf subway stop (S-Bahn) is located 400m from Wyndham Garden Hennigsdorf Berlin Hotel. From here, it takes just 30 minutes to reach the city center of Berlin - including the Friedrichstrasse in Berlin Mitte, Alexanderplatz or famous Potsdamer Platz. 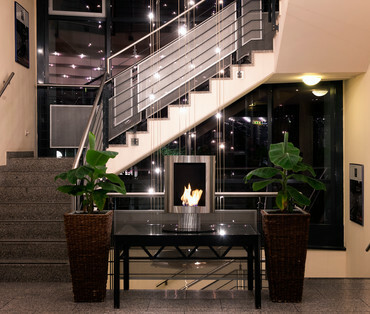 Enjoy your stay in one of the 112 harmoniously designed rooms of the Wyndham Garden Hennigsdorf Berlin Hotel. 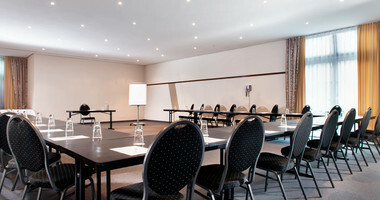 All guest rooms of our hotel in hennigsdorf are furnished with a desk, telephone, TV, WLAN and mini-bar. The bathrooms feature bathtubs with integrated showers, WC and a hairdryer. 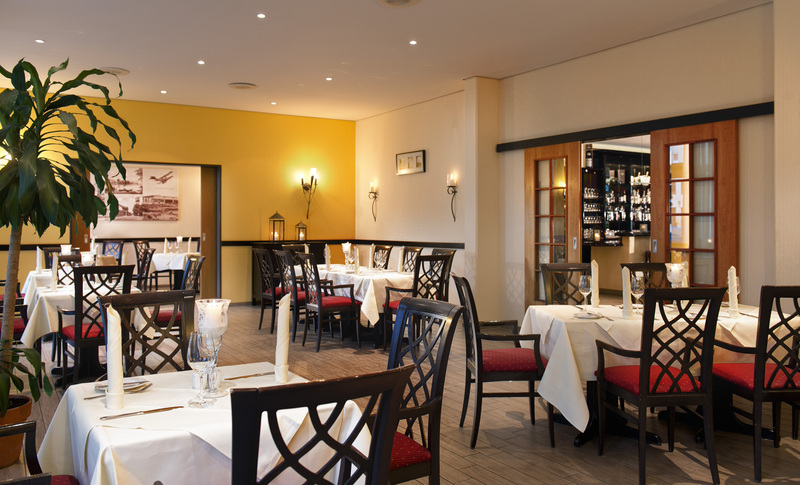 Visit the restaurant of our hotel near Berlin, where we serve a wide range of regional and international specialties. Or join us on our summer terrace or in our winter garden and bar, with their lovely views of the nature that surrounds us. Take advantage of the opportunity to discover our green countryside. 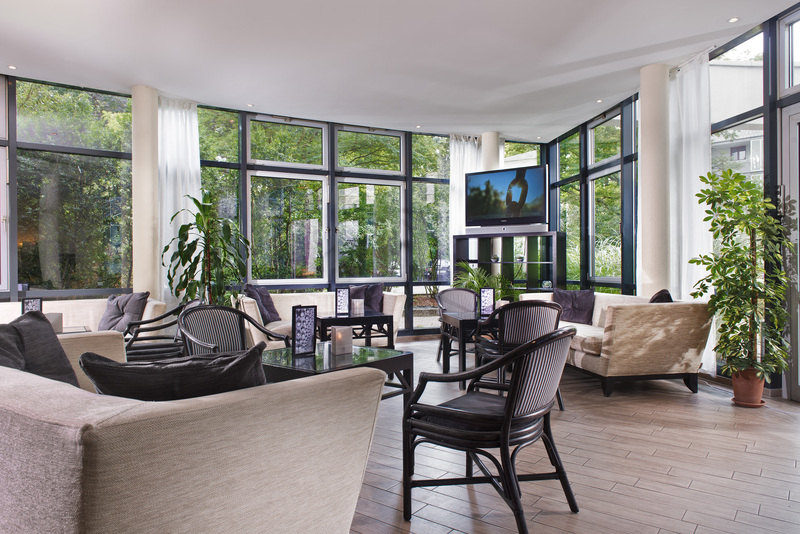 The reception team of the Wyndham Garden Hennigsdorf Berlin Hotel will be happy to provide you with tips for various excursions and cultural points of interest. 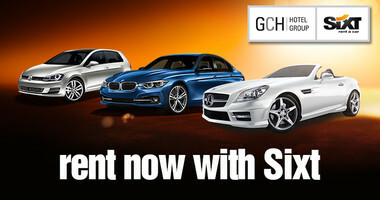 We will also gladly arrange the purchase of musical or theater tickets for you. Located in the quiet town of Hennigsdorf in Brandenburg, the hotel Hennigsdorf is the perfect choice for those looking to spend some quality time on the outskirts of Berlin. 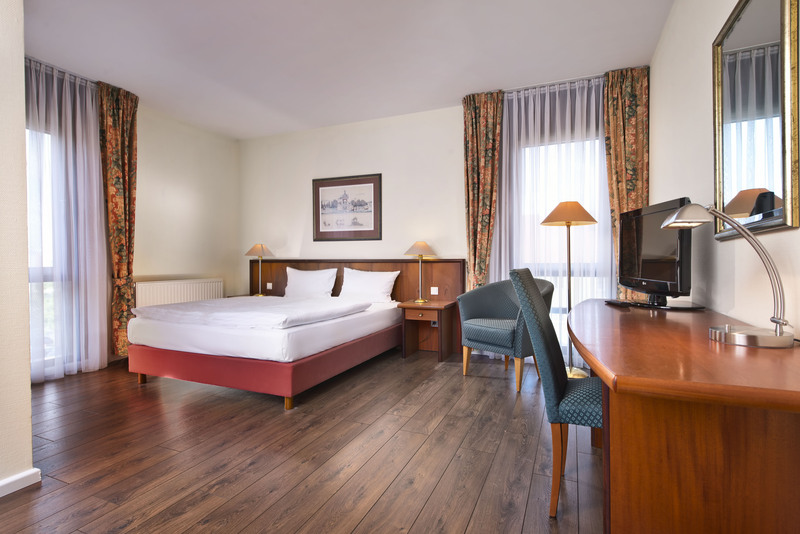 Business and leisure guests will find the Wyndham Garden Hennigsdorf Berlin Hotel ideal because of its quiet surrondings and easy access to Berlin, the German capital being situated at only 20 kilometres from the hotel. 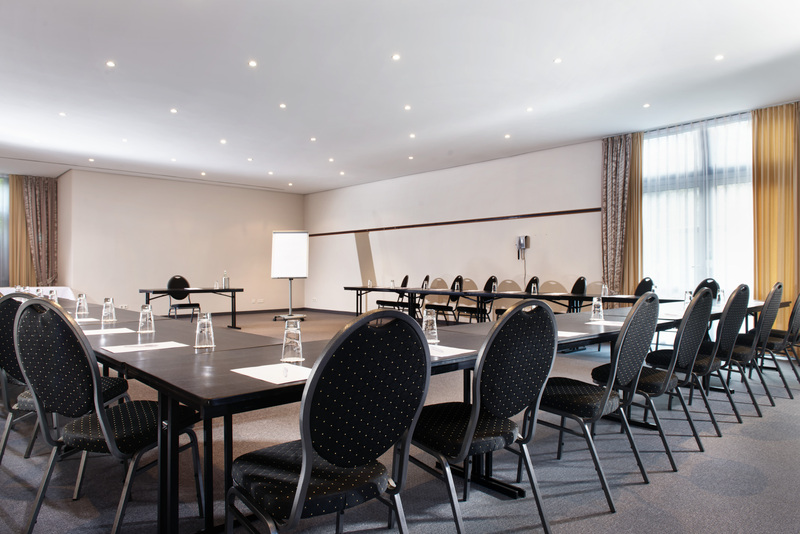 With its 4 conference rooms that can hold up to 160 persons, the Wyndham Garden Hennigsdorf Berlin Hotel is the first choice when it comes to hosting your business events. 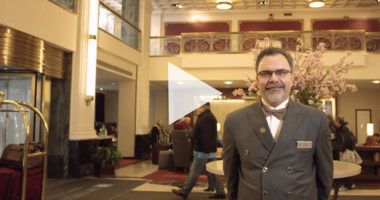 At the end of the day, it is always nice to know that you can return to your hotel and have a great dinner and a refreshing drink at the hotel restaurant and bar. The team of the Wyndham Garden Hennigsdorf Berlin Hotel looks forward to welcoming you soon! 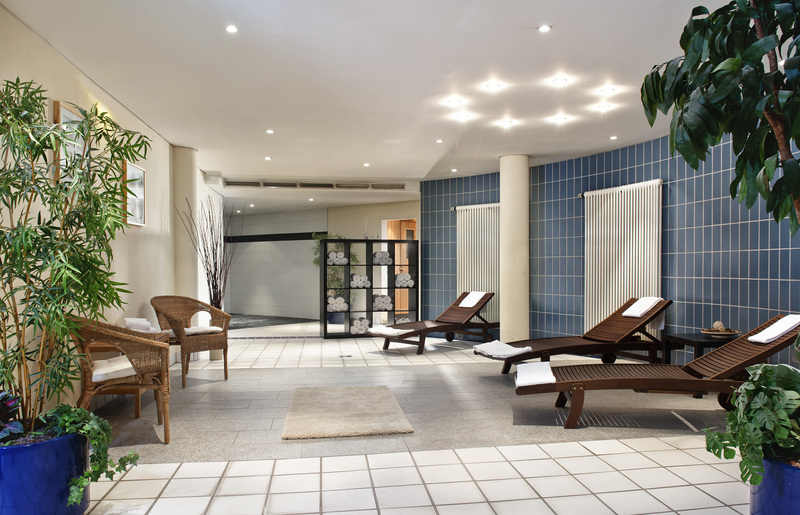 Sauna, solarium, fitness room and an on-site bicycle rental - Wyndham Garden Hennigsdorf Berlin Hotel is perfect for individuals that want to discover Berlin. At every stage, we emphasize sustainable ecological management and were awarded the “Green Hotel” status level 4 by the world's leading certification company EarthCheck. Buy online and print your personalized gift voucher of the Wyndham Garden Hennigsdorf Berlin Hotel. 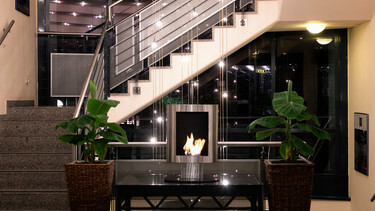 In our Hennigsdorf city hotel close to Berlin, hotel guests will find lovingly furnished and cozy hotel rooms. For those who prefer lots of space and comfort, our deluxe hotel rooms and studio suites are just the thing.